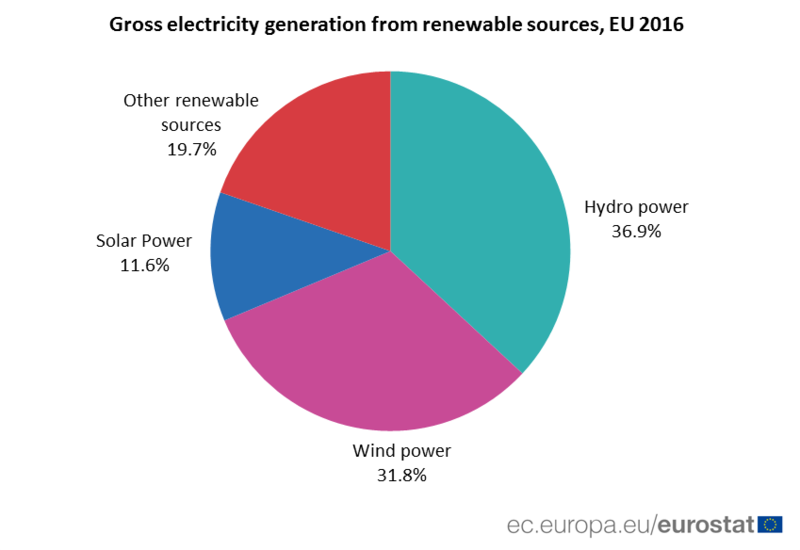 In 2016, electricity generation from renewable sources contributed more than one quarter (30 %) to total gross electricity consumption in the European Union (EU). Hydro power is the most important source, followed closely by wind power and then solar power. Other renewable sources for generating electricity include wood, biogas, renewable waste and geothermal energy.